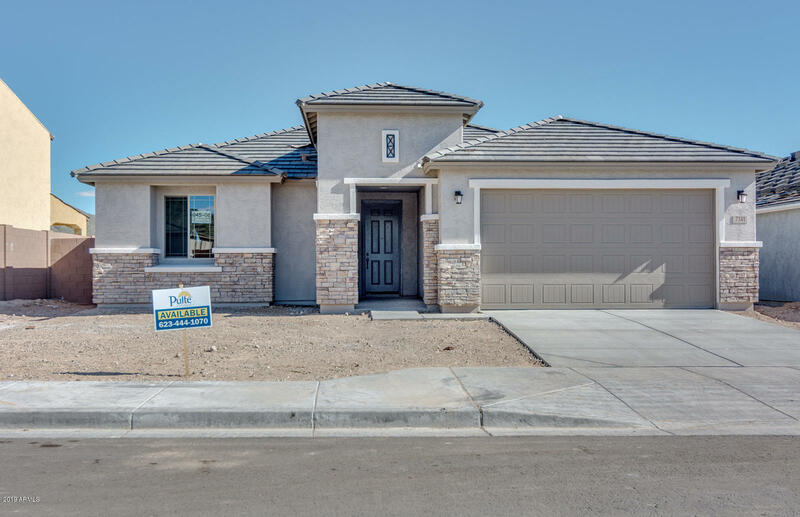 All ALORAVITA PHASE 1 PARCEL homes currently listed for sale in Peoria as of 04/20/2019 are shown below. You can change the search criteria at any time by pressing the 'Change Search' button below. "Move-in Ready Estimated April 2019. This popular single level split floor plan home is located on a desirable lot. The owner's suite is complete with bay window, a framed walk-in shower and extended walk in closet. The kitchen hosts elegant features including gas stainless steel cooktop and appliances, chef lux layout waterfall edge granite kitchen and island counter tops with upgraded cabinets, beautiful upgraded flooring, surround sound and more." "Move-in Ready Estimated April 2019. 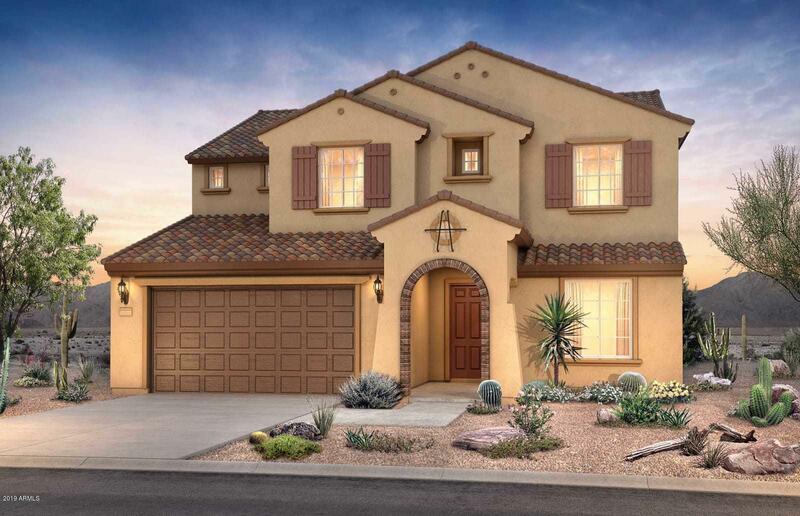 The Ridgeview, two story home, features all bedrooms upstairs along with laundry and a large loft. First floor designed with a den, added inside storage, extension at the back of the home, open great room with large kitchen and island great for everyone. Beautiful interiors include, upgraded cabinets with lux staggered package, stainless steel gas appliances and French door refrigerator. Complete with whole house electrical upgrade, pre-wired for surround "
"Move-in Ready Estimated May 2019. This popular single level split floor plan home is located on a desirable larger than the standard home site. The owner's suite is complete with the extension and a glass walk-in shower, granite countertops and extended walk-in closet. The kitchen hosts elegant features including gas stainless steel cooktop and appliances, chef lux layout, granite kitchen and island counter tops with an extended walk-in pantry, beautiful upgraded carpet and pad, pre-wired for "
"Move-in Ready Estimated for April 2019. 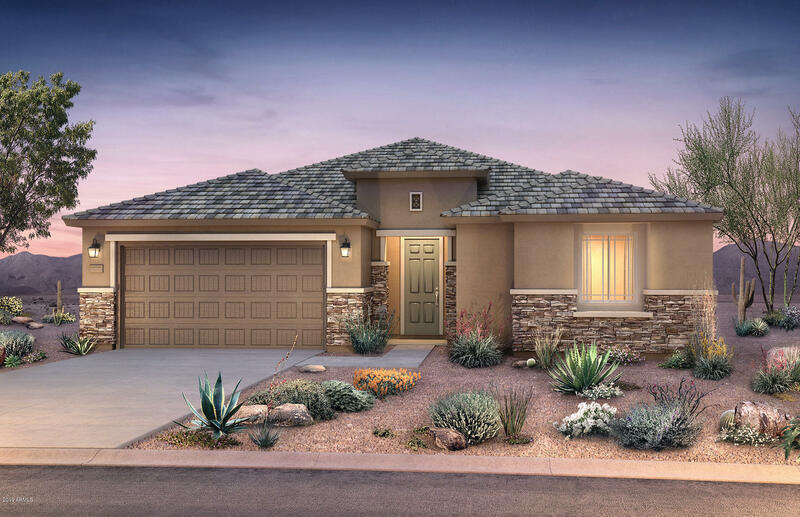 This popular single level split floor plan home is located on a desirable larger than the standard home site with front landscape. The owner's suite is complete with the extension, a glass walk-in shower and extended walk-in closet. 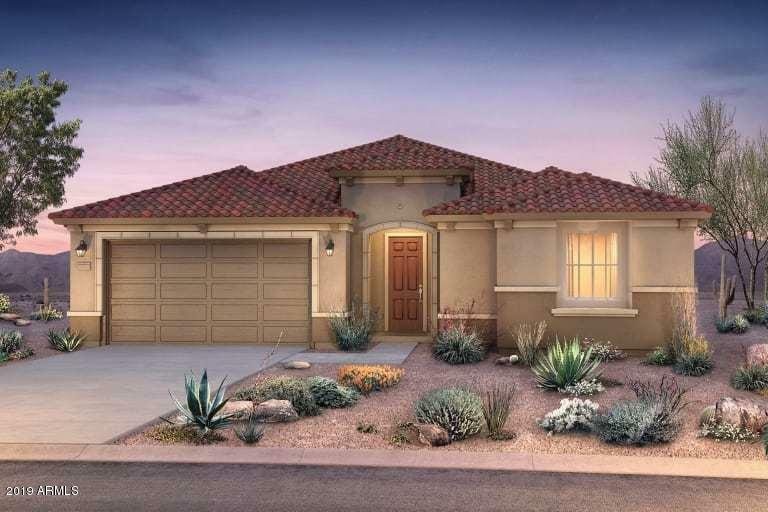 The kitchen hosts elegant features including gas stainless steel cooktop and appliances, chef lux layout with maple cabinets in Cotton, granite kitchen and island counter tops with an extended walk-in pantry, beautiful 18'' "
"ESTIMATED MARCH 2019 COMPLETION. THIS INVITING SINGLE LEVEL SPLIT FLOOR PLAN HOME IS LOCATED ON A DESIRABLE WIDER HOME SITE. THE OWNER'S SUITE IS COMPLETE WITH AN EXTENSION AND A LOW THRESHOLD GLASS WALK-IN SHOWER. THE KITCHEN HOSTS ELEGANT FEATURES INCLUDING GAS STAINLESS STEEL RANGE AND APPLIANCES, STAGGERED LUX LAYOUT WITH MAPLE CABINETS IN KONA, GRANITE KITCHEN AND ISLAND COUNTER TOPS, BEAUTIFUL 12 X 24 TILE, UPGRADED CARPET AND PAD, INTERIOR PAINT IN AGREEABLE GRAY, PRE-WIRED FOR SURROUN"
"MOVE-IN READY ESTIMATED MARCH 2019. SPACIOUS WELL PLANNED SINGLE LEVEL HOME WITH A PLANNING CENTER INCLUDING ADDED CABINETS AND GRANITE COUNTER TOPS. THE OWNER'S SUITE IS COMPLETE WITH THE EXTENSION AND A LOW THRESHOLD GLASS WALK-IN SHOWER. 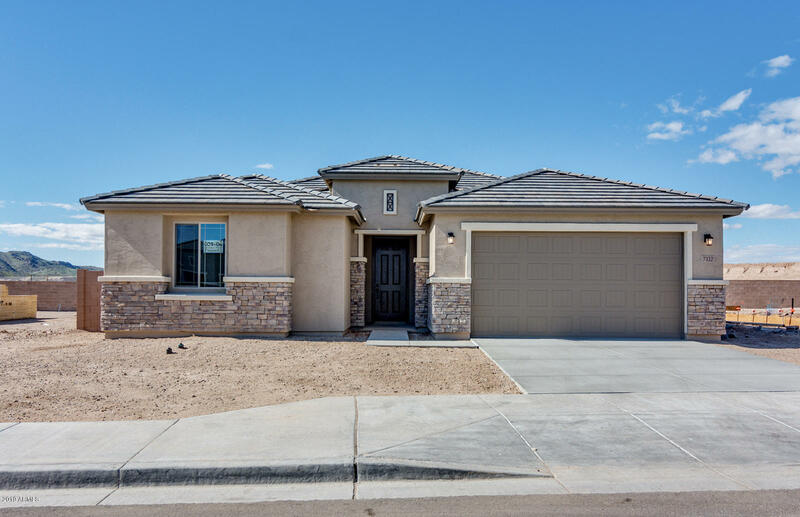 THE KITCHEN HOSTS ELEGANT FEATURES INCLUDING GAS STAINLESS STEEL RANGE AND APPLIANCES, MAPLE CABINETS IN COTTON, GRANITE KITCHEN AND ISLAND COUNTER TOPS, BEAUTIFUL 18 X 18 TILE, UPGRADED CARPET AND PAD, INTERIOR PAINT IN LIGHT FRENCH GRAY, WHOLE HOUSE ELECT"